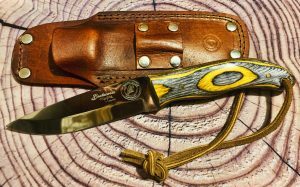 Michigan native Melissa Miller is known for her work within the outdoor, survival, & knife communities. 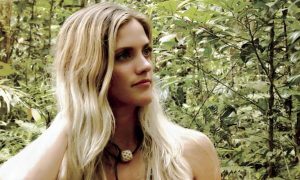 She has appeared twice on Discovery Channel’s primitive survival challenge “Naked and Afraid” and she is passionate about nature education. 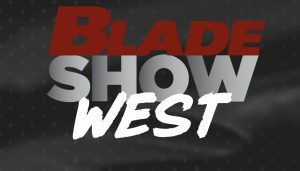 Melissa is now an official partner of BLADE Magazine. 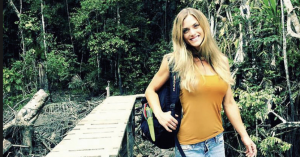 Melissa Miller came to recognition after appearing in Discovery Channel's primitive survival challenge reality show, “Naked & Afraid.” In the Season 7 finale “Worlds Collide”, she survived 3 weeks in Amazon Jungle with only a fishing line, knife, and fire starter. 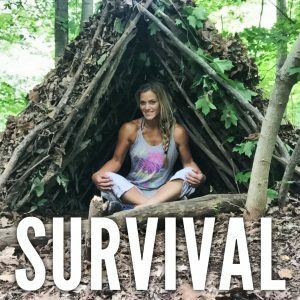 After acheciving success in her 21 day challenge, Melissa was asked back to compete in the “Naked & Afraid XL” challenge where she had to survive 40 days in the Selati Basin of South Africa primitively. 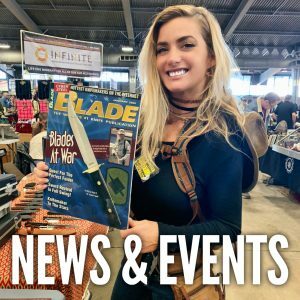 She is also well-known for her Instagram page "MelissaBackwoods" and for working with knife companies and custom blade makers across the world. 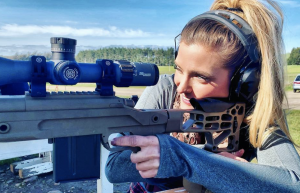 She became a brand influencer for the Discovery Channel Network, where she hopes to continue her relationship with the company. 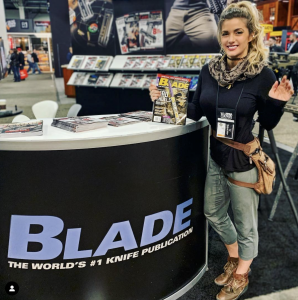 She also is working with several outdoor companies as an advisor, influencer, and social media ambassador. 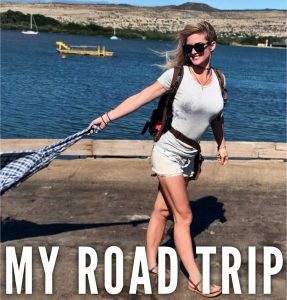 Melissa graduated in 2016 with a teaching degree from The University of Michigan. She is an environmental educator in Michigan's largest park system, where she teaches a wide variety of subjects to nature enthusiasts of all ages. 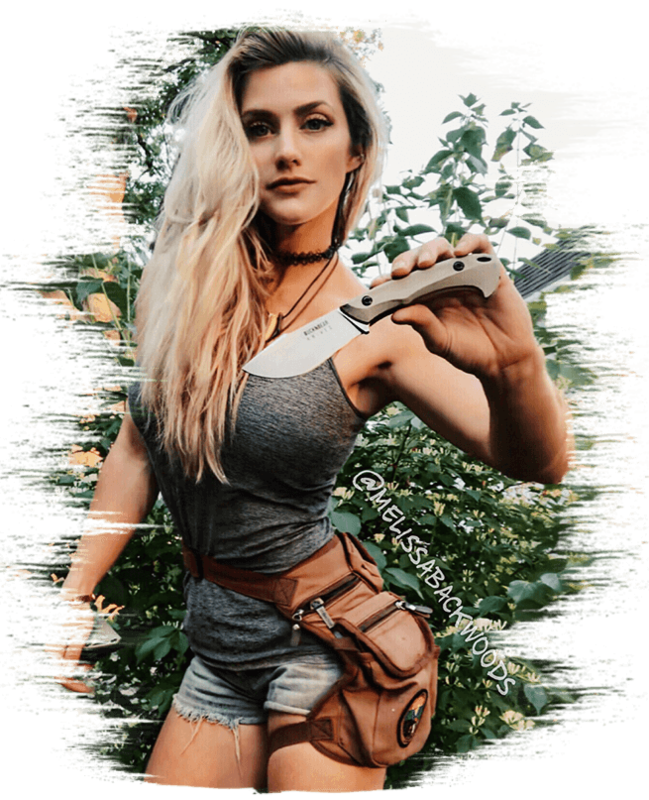 Teaching wilderness survival at work and studying indigenous cultures in college, Melissa began practicing primitive skills on a daily basis, where she began sharing her knowledge with others through social media. 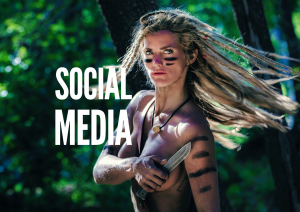 Primitive trapping, fire making, and foraging have always been her favorite parts of survival, where she continually seeks new information to share. 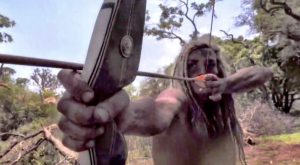 Aside from fishing, foraging, and trapping, Melissa has recently taken up traditional archery in hopes to become a stronger hunter. 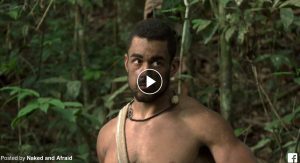 "Acquiring natural food that one has to work for is very rewarding," she believes. 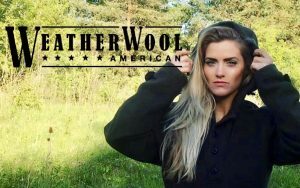 She also believes the ultimate connection to earth is learning how to utilize its natural resources for survival. 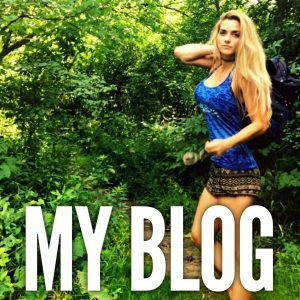 Melissa is passionate about wildlife conservation and educating children on the benefits of getting outdoors. For now, she continues to share her passions with others and work with companies to gain further experience in life. She travels to work with Discovery and other companies to further pursue her dreams, and always remains grateful to those who have supported her along the way. 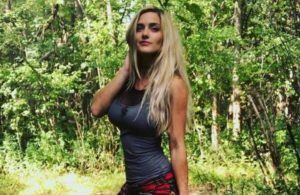 She lives with her boyfriend and her dog in a humble home located in Southeast Michigan.